Item number Ie349 from the MOA: University of British Columbia. 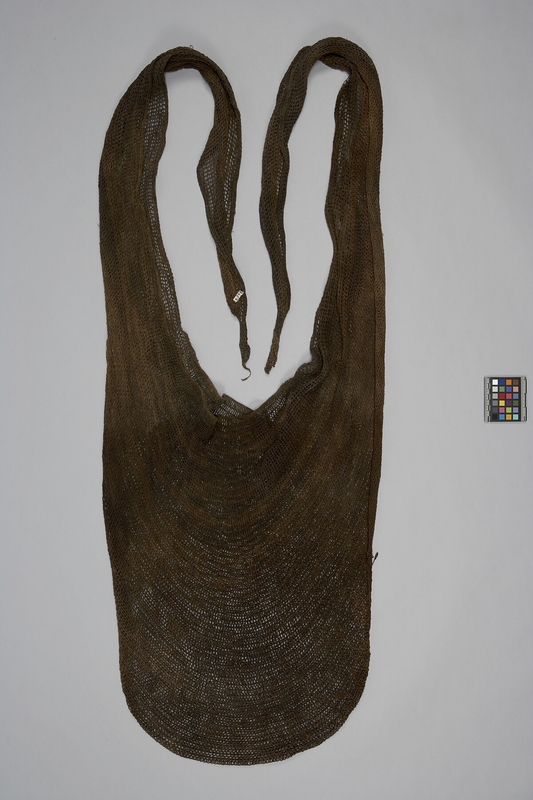 Large, brown woven fibre bag with open mesh. The bag is flat in a circular-like shape with long extending straps that taper to form two points which can be tied to form a handle. Bags are used by women on ceremonial occasions, such as weddings and pig feasts. They are carried over the head, hanging down the back, to transport pearl shells or pork. Not for general subsistence use. These bags are made by the women.